Mop Sinks are a common source for plumbing problems and drain backups in restaurants and commercial facilities. 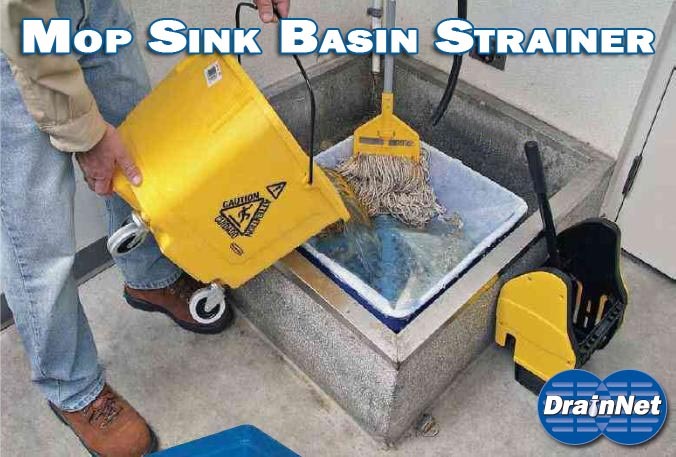 Our Mop Sink Basin Strainer is the most effective product for preventing this problem. It features a durable plastic strainer which sits in the mop basin to capture large debris and trash. We also offer durable filters which fit on the mop basin strainer to keep small debris, dirt, rice, and other particles out of your plumbing system. Stop drain clogs in your mop sink... get our strainer!